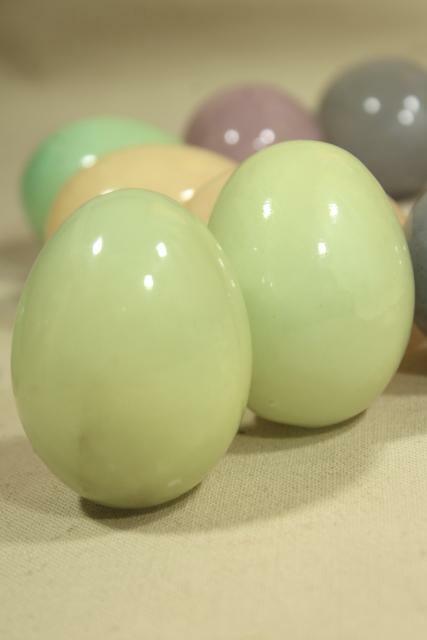 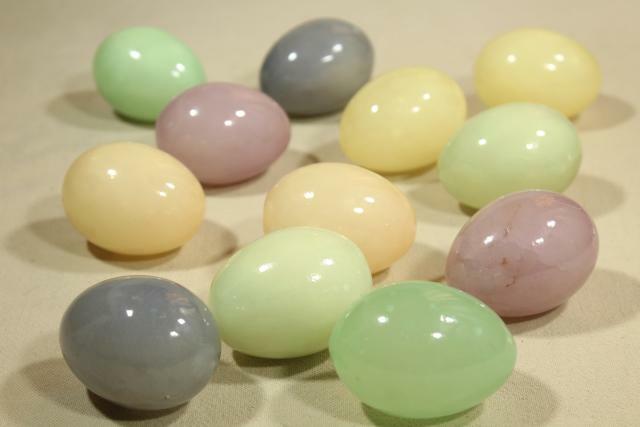 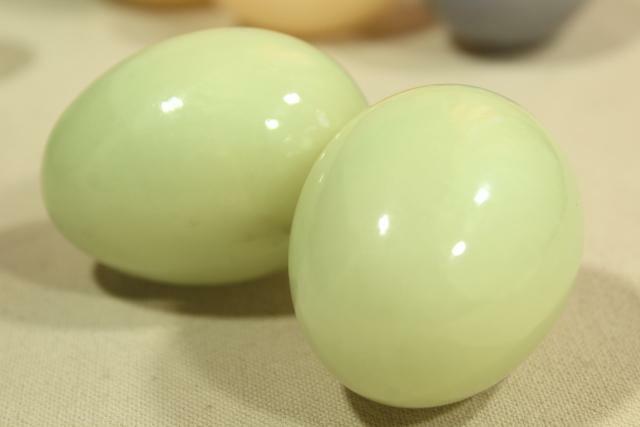 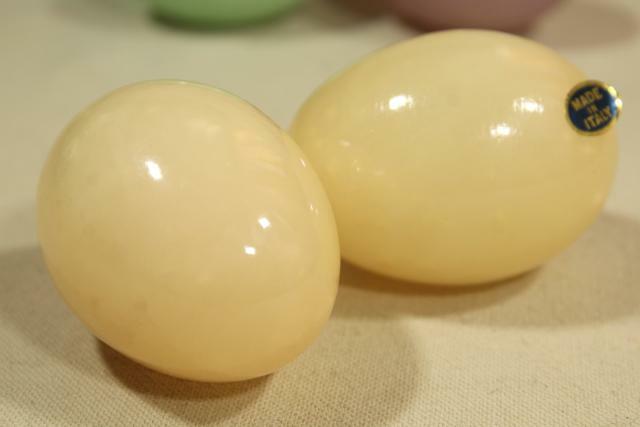 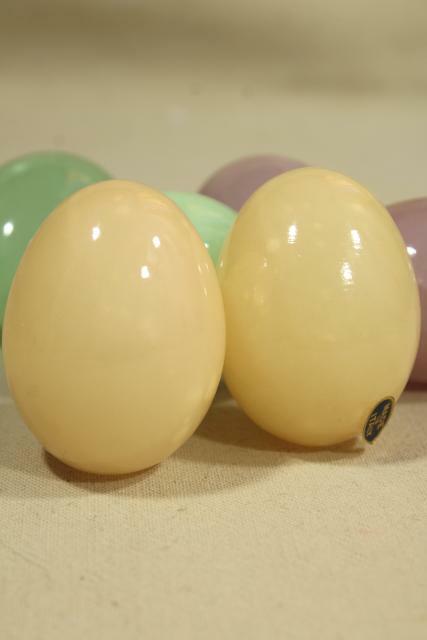 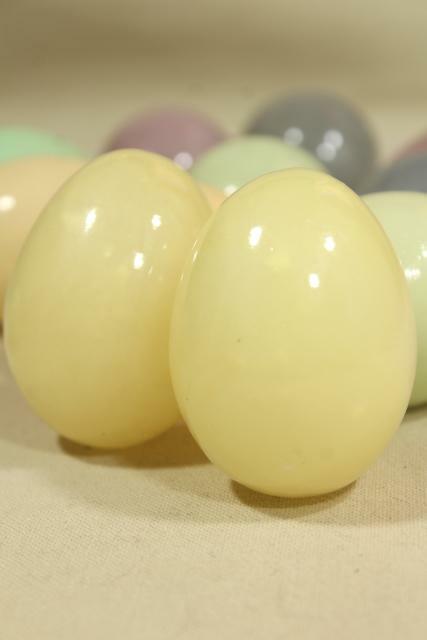 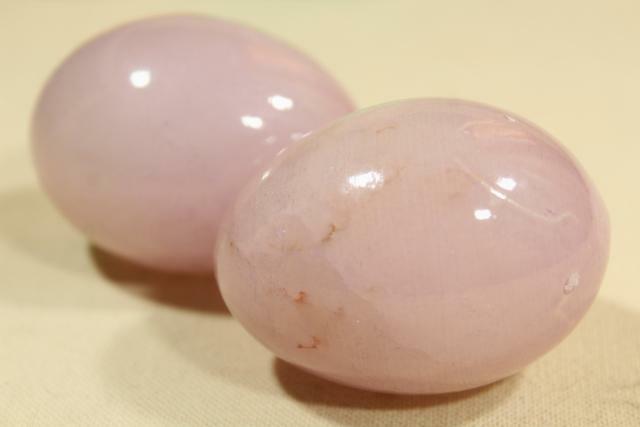 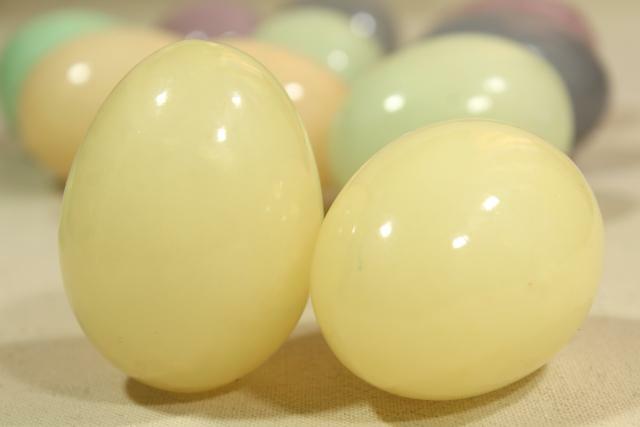 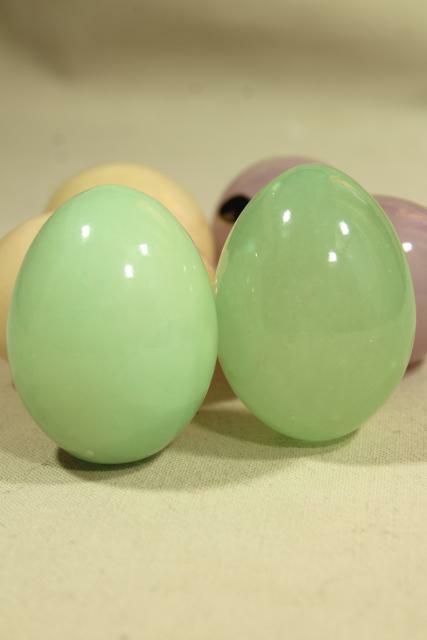 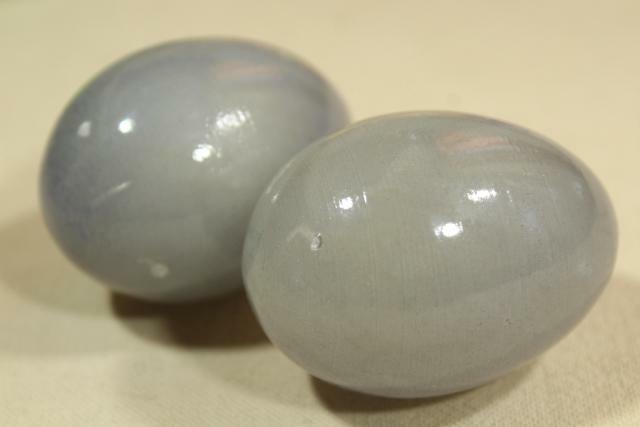 Vintage carved and dyed alabaster eggs from Italy, so pretty! 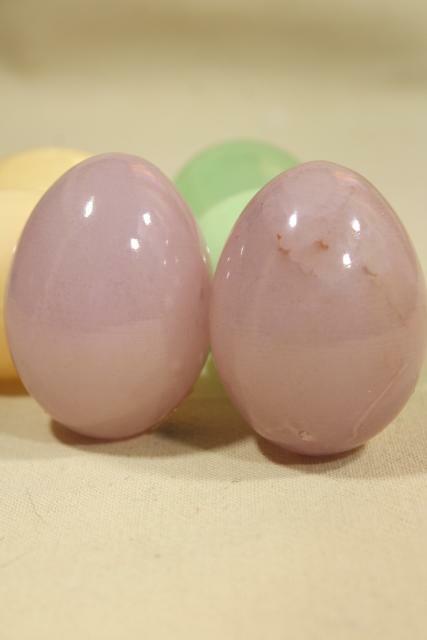 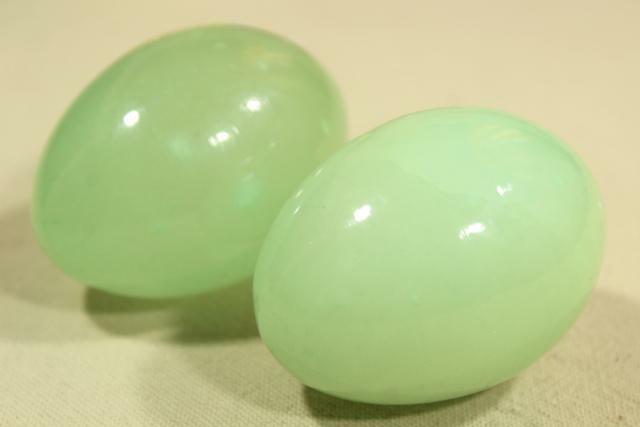 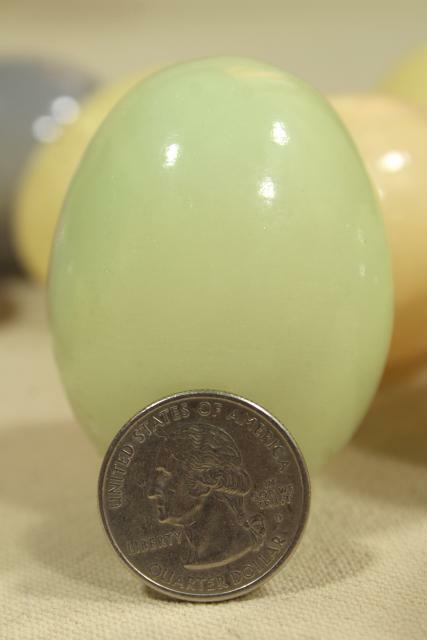 These are hen egg size, something around 2 1/4" to 2 1/2" long. 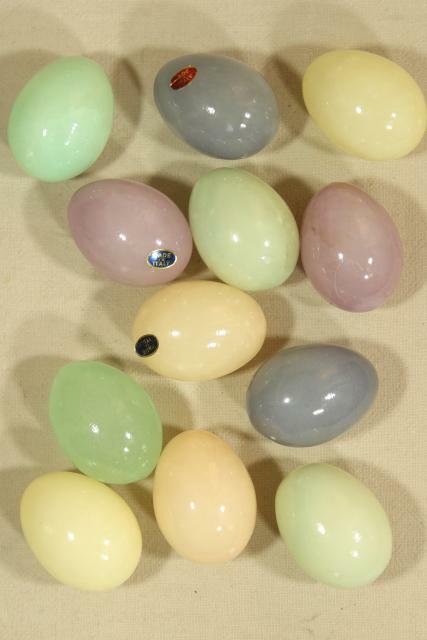 This lot is shown altogether in the first photo, a full dozen. 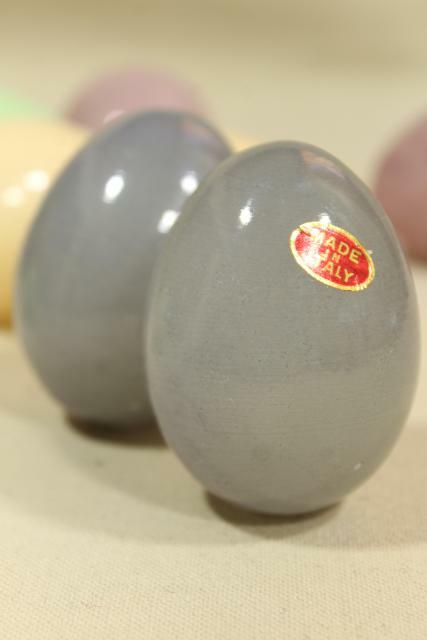 All are in very nice condition, beautiful display pieces all year round.